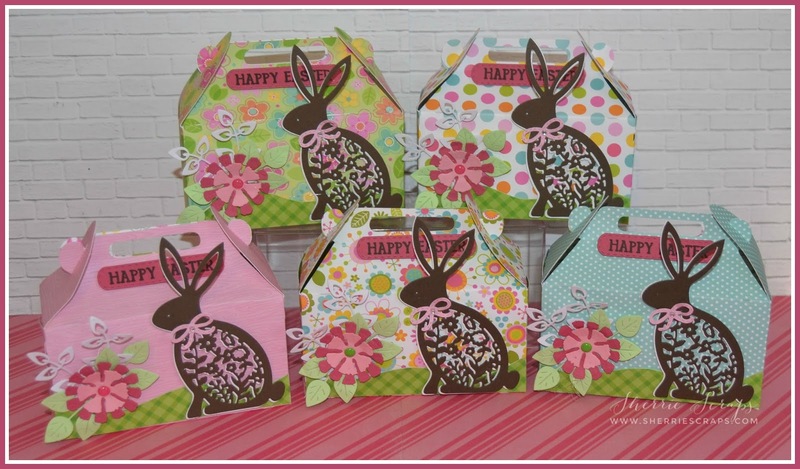 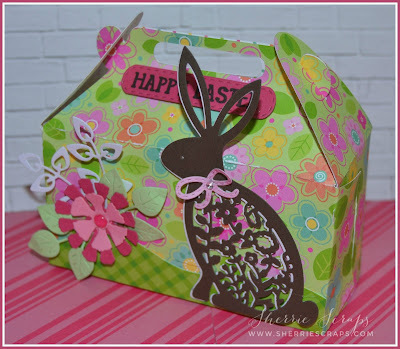 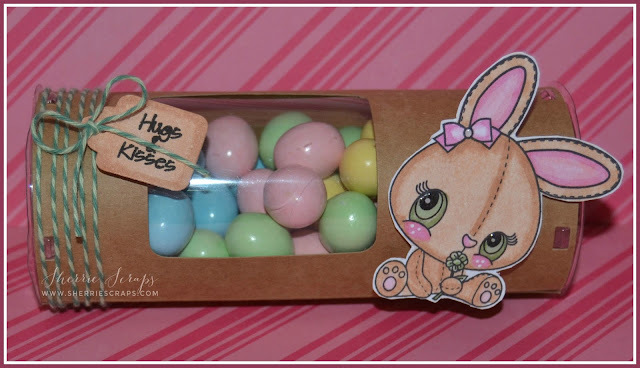 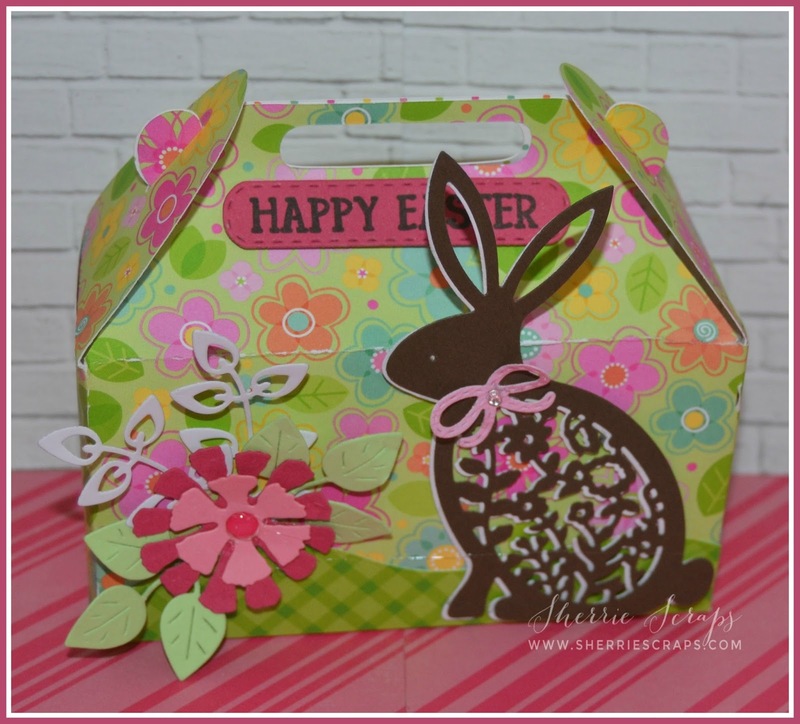 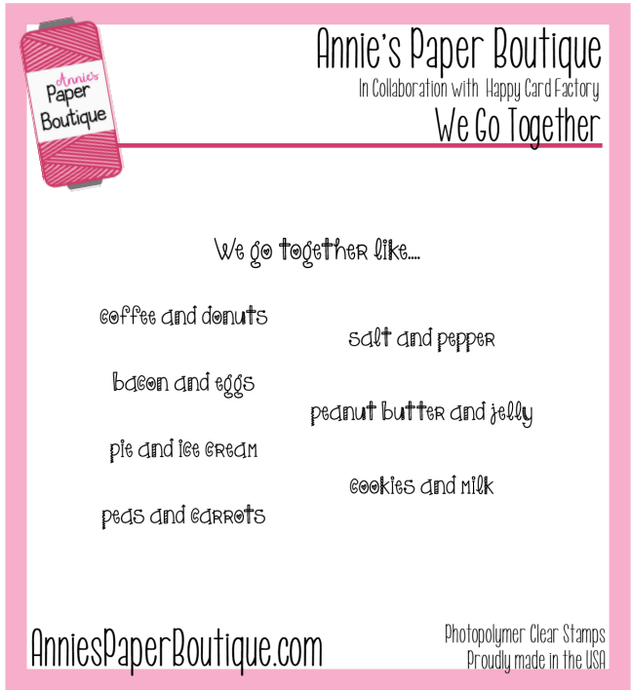 Today, I am sharing a quick and fun little treat bag I created for my older granddaughters. 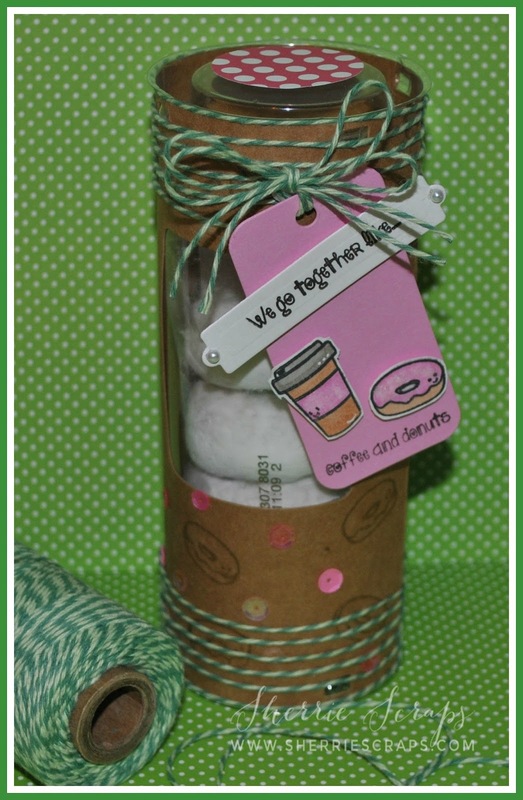 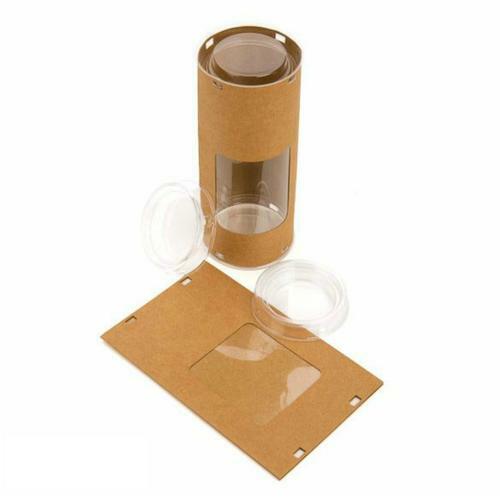 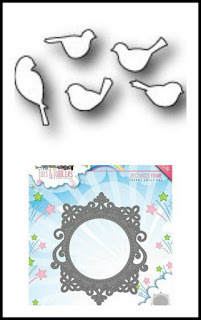 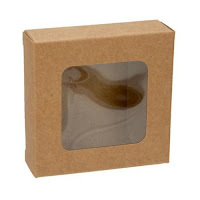 It will hold some candy and a fun St Patrick's Day light up necklace which they will love! It's all about dress up with these 3 girls, lol! I started with a glassine bag and then layered a scallop panel with Jaded Blossoms Scallop Rectangle Die 1. 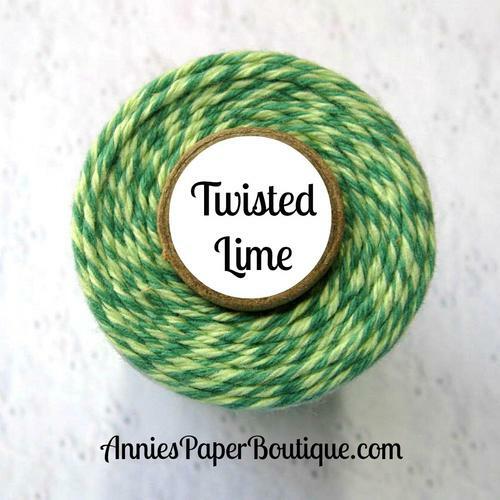 I wrapped some fun Trendy Twine Twisted Lime and tied a bow. The sweet little girl is from the Holiday Dress Up stamp set. She was colored with copics and then popped up onto a Luggage Tag Die. 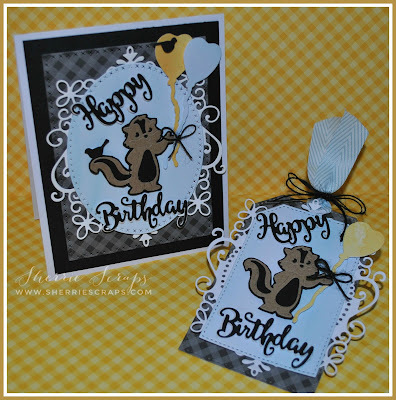 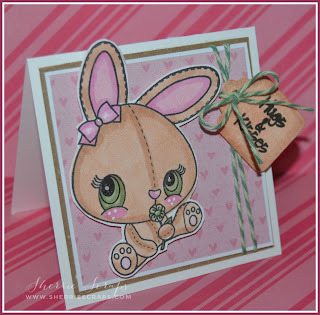 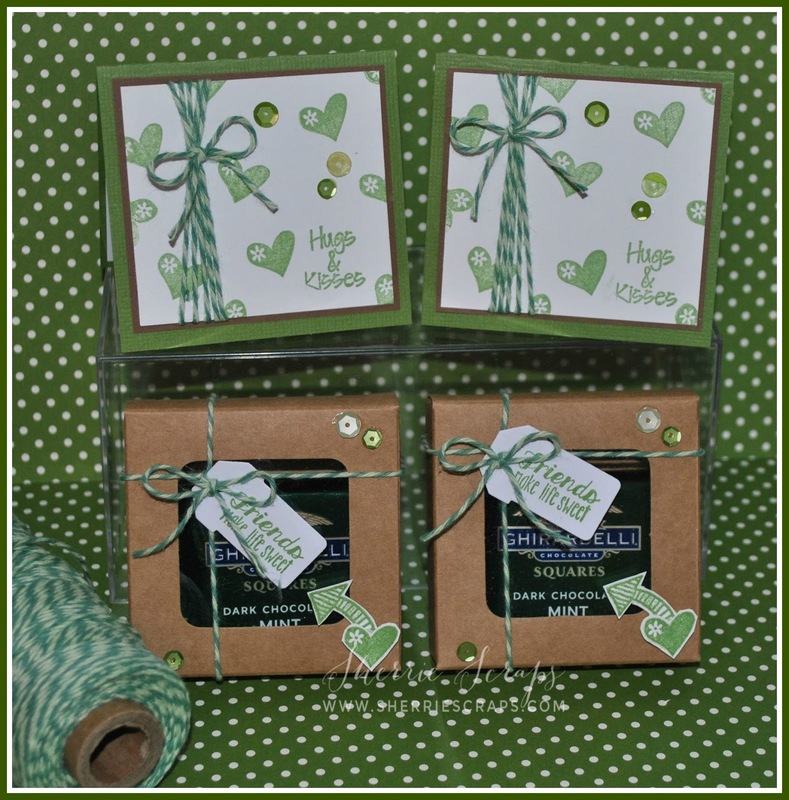 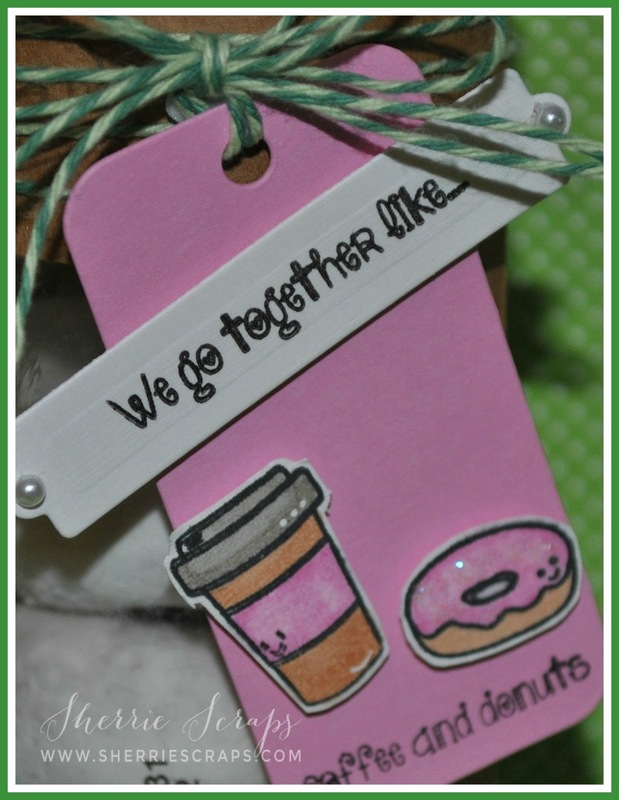 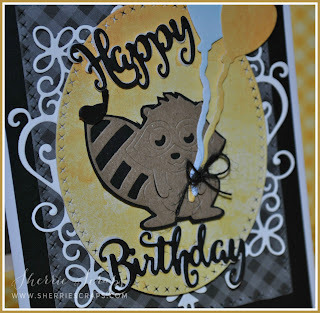 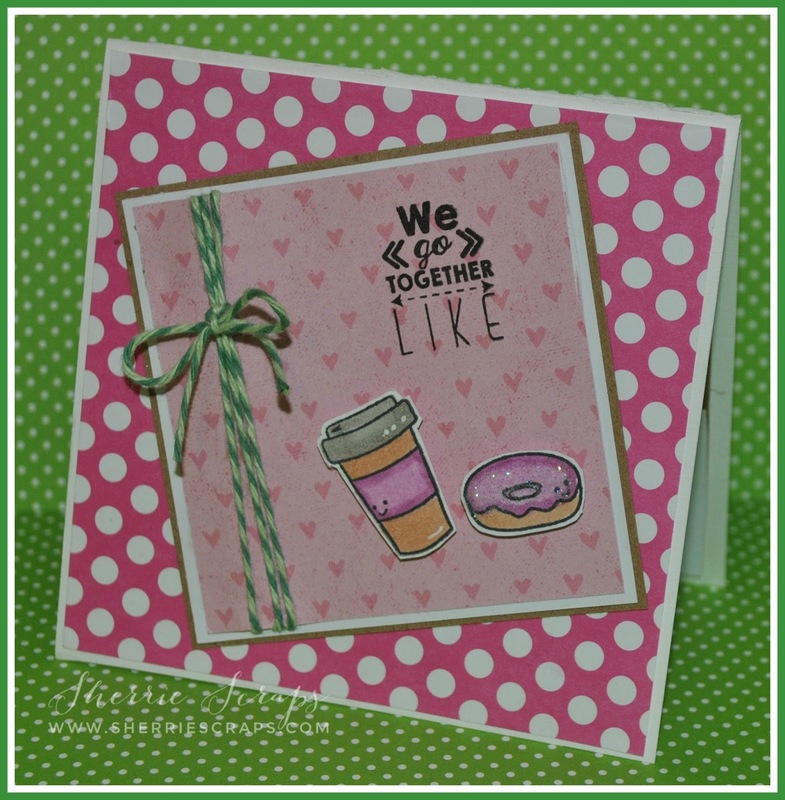 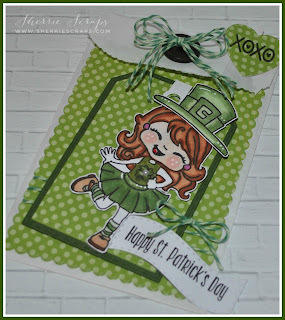 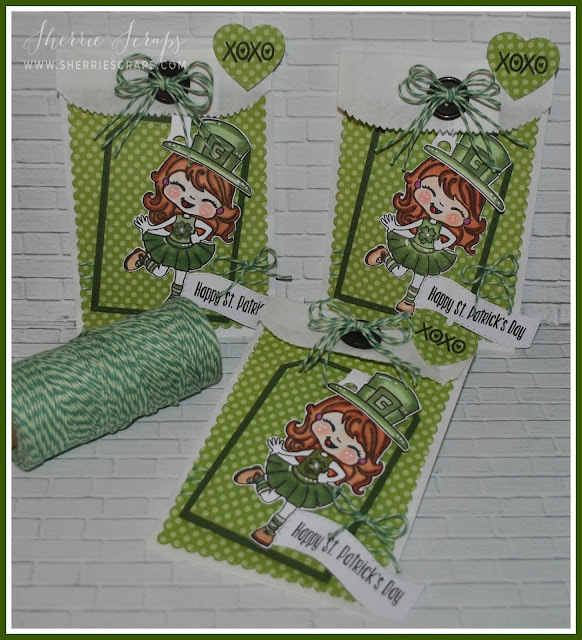 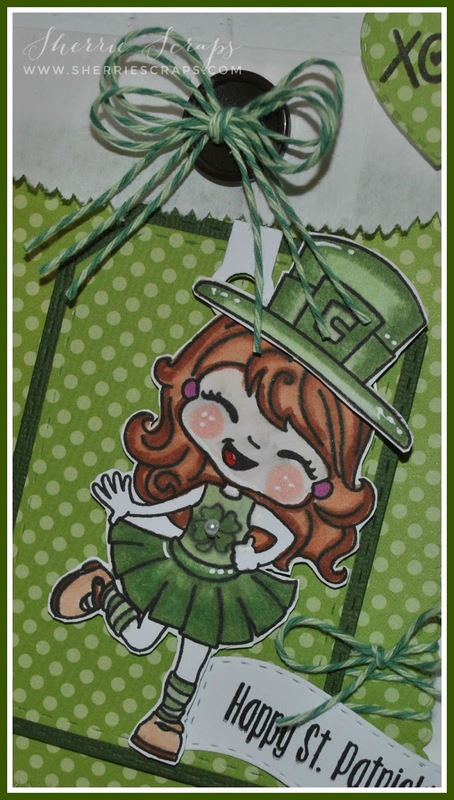 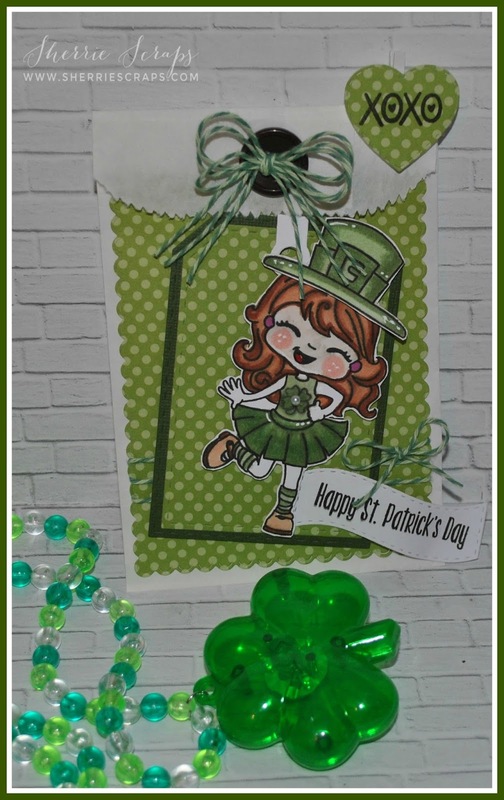 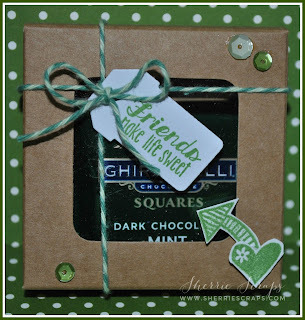 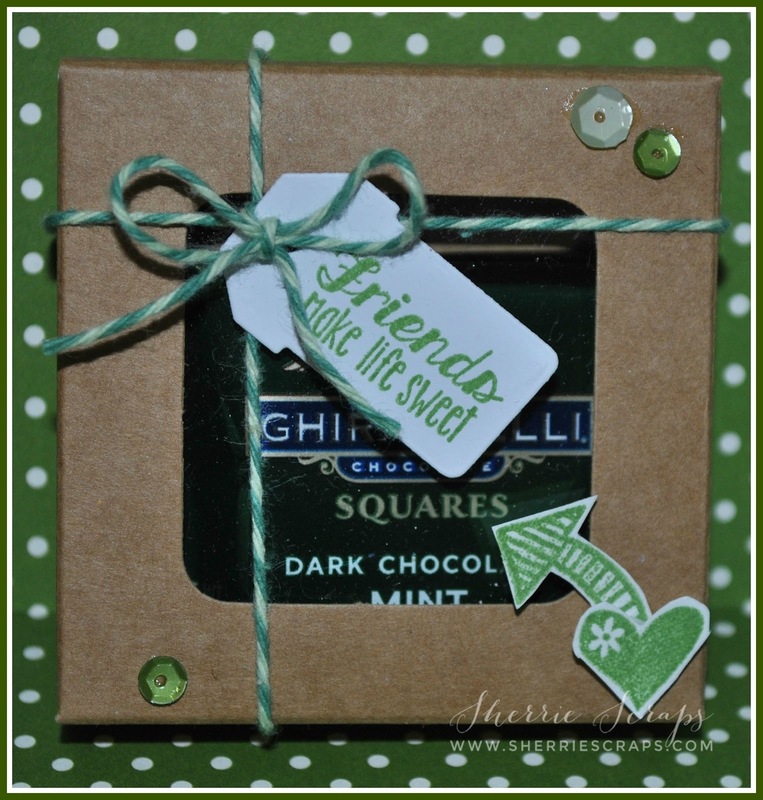 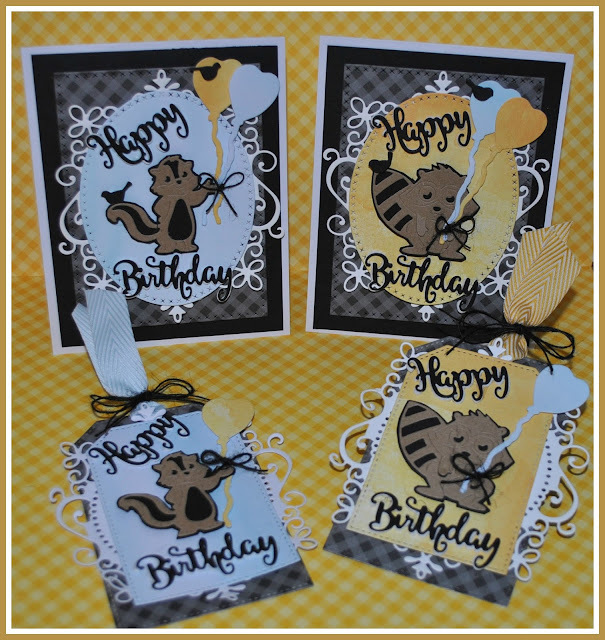 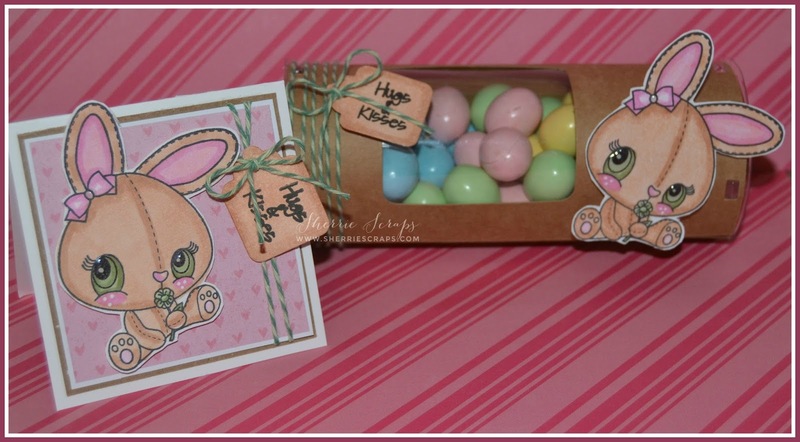 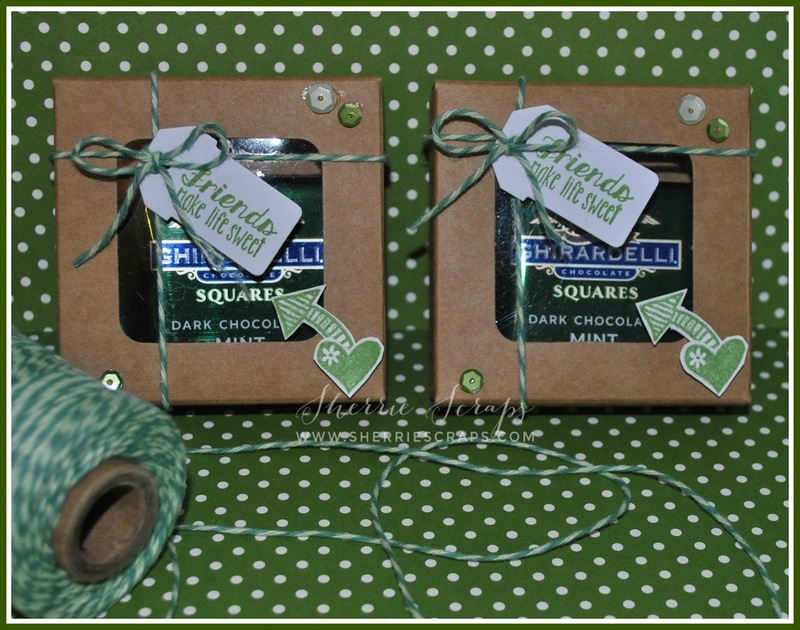 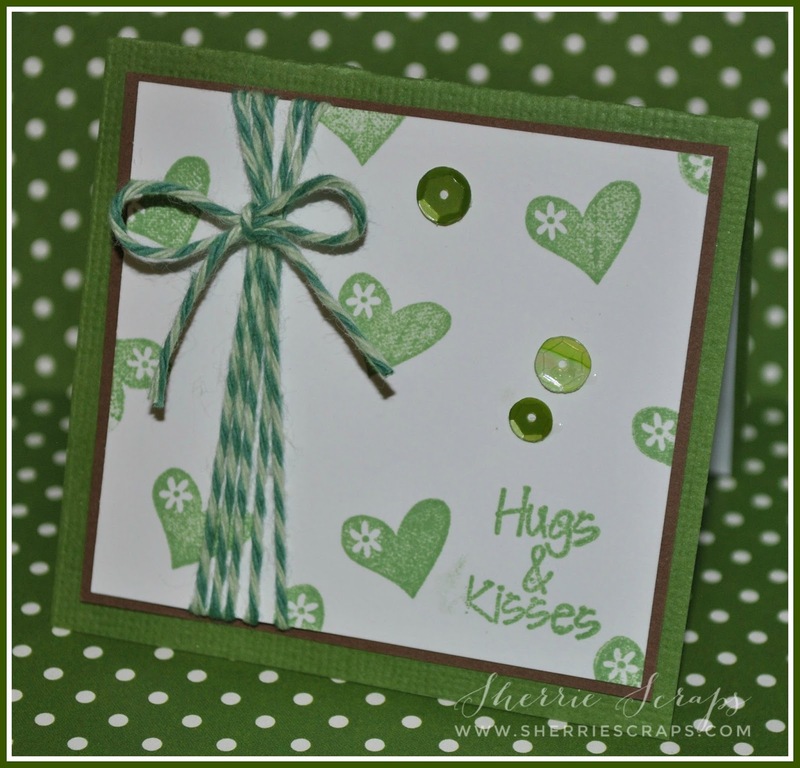 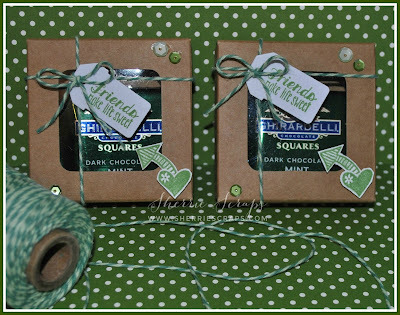 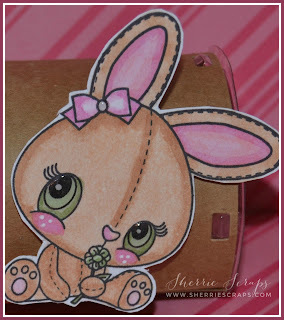 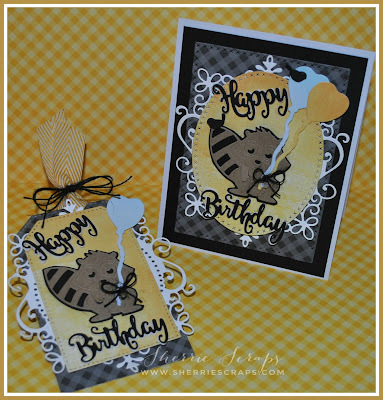 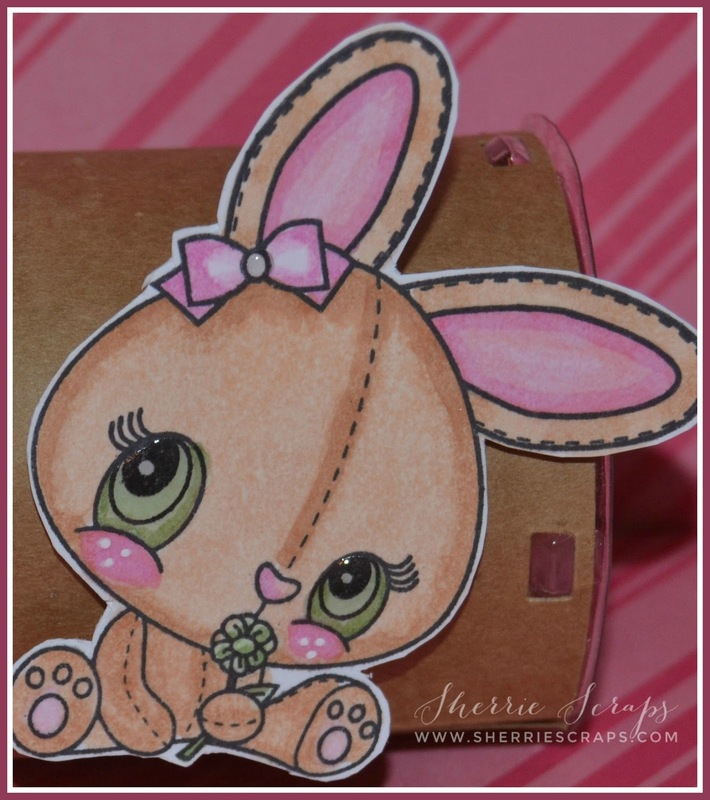 The sentiment is from the Go Green stamp set and stamped onto a Mini Tags Die 2. 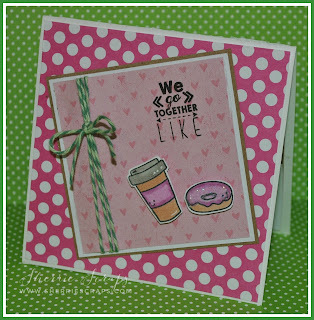 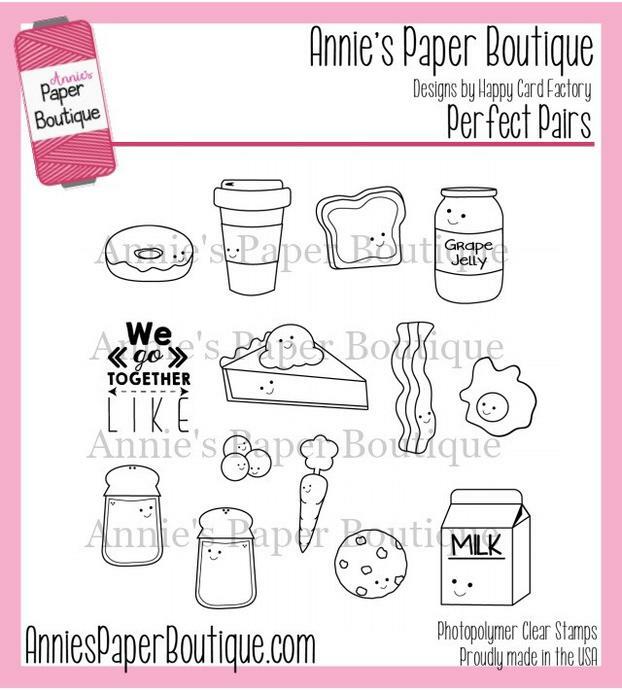 The heart is from the Heart Dies 1 and the XOXO is from Annie's Paper Boutique~You & Me stamp set embossed onto the heart. To finish it up, I added a piece of velcro under the button to help keep it closed and another fun Trendy Twine Twisted Lime bow. I started with a white card base and black base layer. 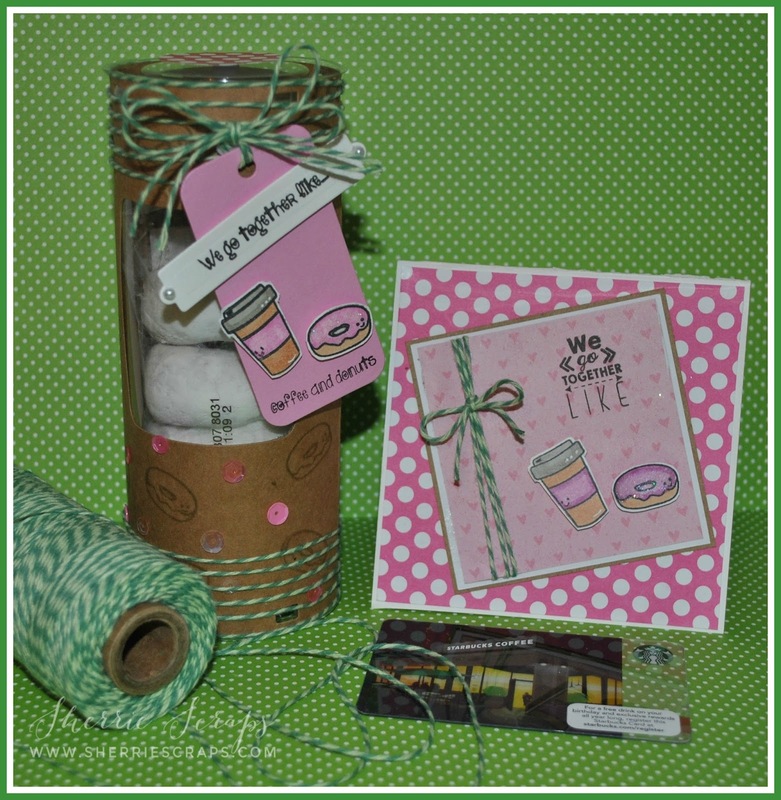 I followed with the Tutti Designs Cross Stitched Nesting Rectangle, the Yvonne Creations Rectangle Frame, Tutti Designs Cross Stitched Nesting Oval and then adhered the sweet little critter with foam tape. Memory Box Resting Bird dies. 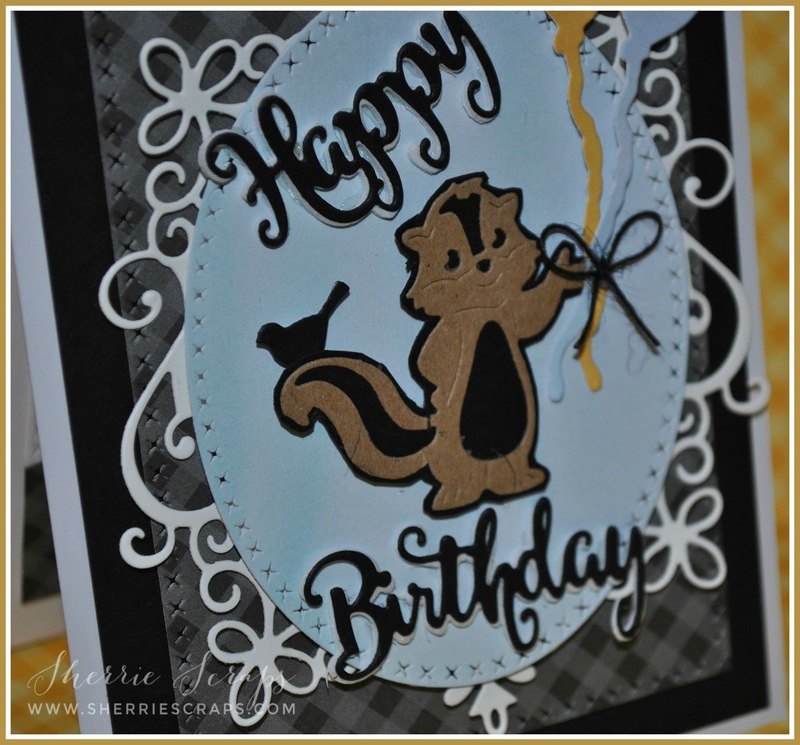 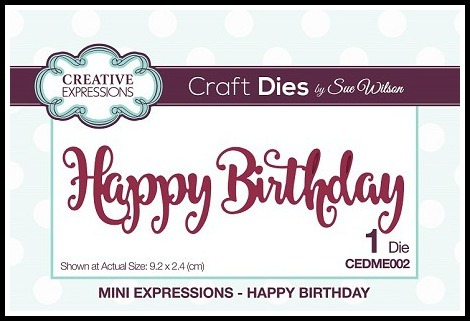 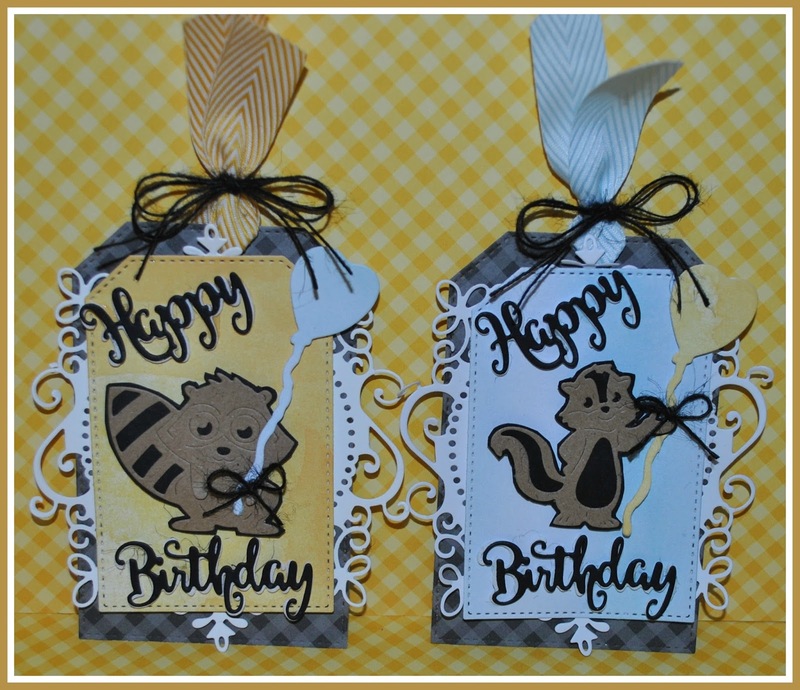 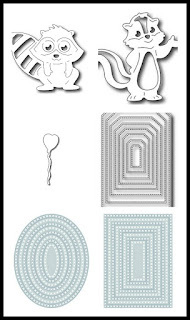 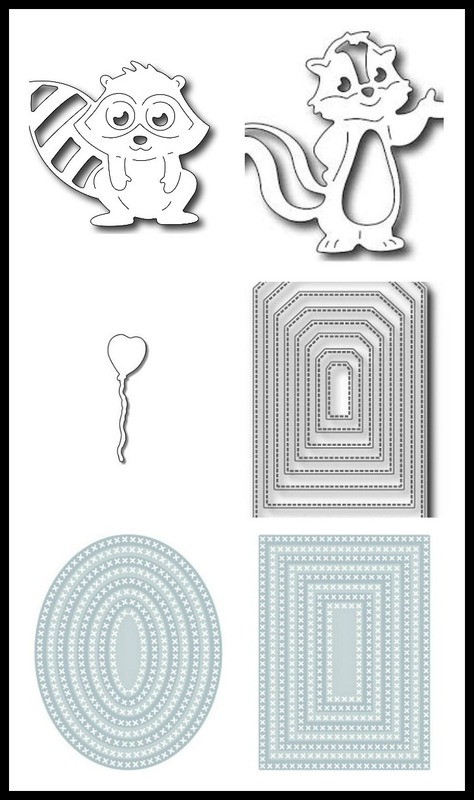 The tag is made with the Tutti Designs Stitched Nesting Tags Die and followed the same theme as the card. 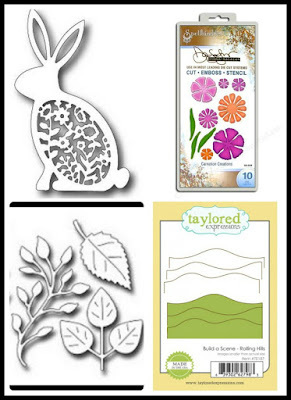 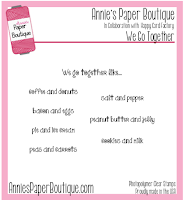 The papers are from Lawn Fawn~Water Color Wishes and Doodlebug Beetle Black Gingham from the At the Zoo paper pack.